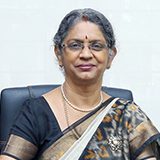 Dr.Mrs.Grace George, the Chairperson of the Alpha Group of Institutions, after her primary education in Hyderabad, graduated in Commerce from Kerala University. A post graduation soon followed with an M.A. in Literature, besides a B.Ed from the Regional College University of Mysore. 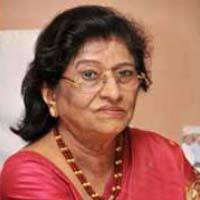 She was conferred Honorary Doctorate in Education in 1999 by the Corner Stone University, Texas, Dallas for her role as model academician and educationist. 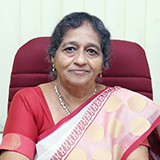 Dr.Mrs.Grace George’s skills in entrepreneurship, business leadership and innovation enabled her to successfully steer the School into a marquee Institution recognized for excellent academic and co-curricular development of children. Her resilient spirit to persevere aided Dr.Mrs.Grace George in moving forward in her mission with determination and overcoming numerous challenges and hurdles that she had to face. With its motto of Seek, Share, Serve - Alpha promotes value based education, sensitizing students to social responsibility and good citizenry. Dr.Mrs.Grace George has guided the member institutions of the Group to be inspired by an academic philosophy set on core Christian values. 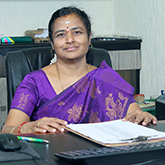 Mrs.Suja George, the Vice Chairperson of Alpha Group of Institutions has an MBA (Finance) from Charles Sturt University, Australia and carries forward a legacy of two generations of eminence in the field of education. 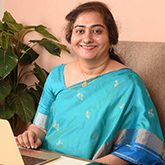 A post graduate diploma in Educational Leadership from CEMD, Delhi, and the Montessori Diploma Program from NAMC, Canada have given her meaningful insights and enabled her to set the educational initiatives at each of the Institutions in the group. 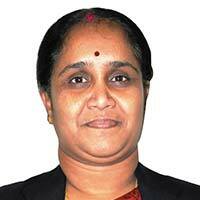 She has also undergone training for Cambridge International Diploma for teachers & trainers. 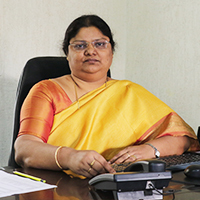 She has completed post-graduate certificate in Education from the University of Bath, U.K.
Mrs.Suja has travelled widely and visited educational institutions in Europe, USA, Canada, Australia, Malaysia, Singapore and the Middle East. 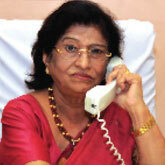 She has picked up the best practices from across the globe and has adapted many of them into the Group’s institutions. 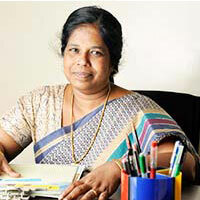 She is instrumental in infusing innovative and contemporary teaching processes in the Alpha Group of Institutions. It gives me great pleasure to welcome you all to the Alpha Group of Institutions. Alpha Group of Educational Institutions has institutionalised ‘Seek, Share and Serve’ as its motto for a continued search for knowledge and information, and share the received wisdom with the community to selflessly serve mankind. Every marble piece has within, certain unwanted parts, needing to be chiseled out by its maker, before being sculpted into a beautiful statue. Alpha over the past four and a half decades is in the pursuit of this noble mission to help mould blossoming minds. We have diligently developed our academic philosophy by laying great emphasis on the pursuit of knowledge, its application and skills to help in its dissemination. Our underlying philosophy is to create new benchmarks by incorporating new initiatives in the field of education through modern and innovative teaching and learning methodologies. Alpha knows no bounds in knowledge and realises the margin fades forever and ever as it moves. But within its boundaries, the disseminated knowledge embodies the spirit of inquiry, research and quality. Our search is incessant, our service is ceaseless and our perseverance untiring. 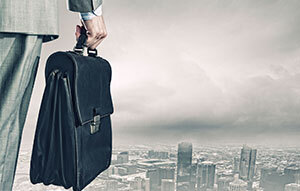 Imparting right knowledge, enhancing wisdom and creating distinct individuals is our pursuit. Today we stand in the threshold of a new era - an era empowered by ‘knowledge economy’. Even as we prepare to ride the waves of change on our foundations built on solid rock, firmly anchored on strong life principles. Alpha prides itself in not only being an institution imparting life’s latest know-how but also instilling human core values. May God bless you. May His mighty hand guide you in all your endeavors.